Microcystins are cyclic heptapeptides hepatotoxins produced by aquatic cyanobacteria such as Microcystis aeruginosa. The wide occurrence of toxic microcystins in freshwater is a threat to water quality and health of living organisms. Here, we irrigated an agricultural soil daily with a cyanobacterial extract diluted at environmental concentrations of microcystin–leucine–arginine, from 0.005 to 0.1 mg equivalent MC-LR L−1, for 90 days. We analyzed the impact on the growth and physiology of tomato, Solanum lycopersicum cultivar MicroTom. Our results show a stimulation of the tomato plant development, in terms of inflorescence and blooming, after exposure to the lowest concentration, of 0.005 mg eq. MC-LR L−1, during the 40 first days post-germination. That effect was not apparently associated with physiological disturbances of the tomato plants. 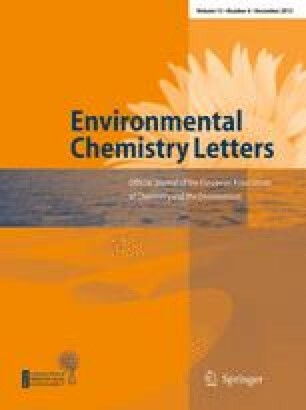 Authors thank V. Grondin, C. Marrault, G. Delarue, F. Poiroux, A. Trouvé, J.Thénard, G. Caro, B. Pey (UR PESSAC, INRA Versailles), A. Fortineau (UMR EGC, INRA Grignon) and J-P Meunier (UMR IJPB, INRA Versailles) for help and technical assistance. FAME determinations were achieved on the platform Biochem-Env, a service of the “Investment d’Avenir” infrastructure AnaEE-France, overseen by the French National Research Agency (ANR) (ANR-11-INBS-0001). This work is part of the “Investment d’Avenir” Program overseen by the French National Research Agency (ANR) (LabEx BASC, ANR-11-LABX-0034). The departments PESSAC and ESE are members of the EcoBASC Network. The research was supported with a grant to S. Corbel from Région Ile-de-France, DIM-ASTREA Program No. ast110055.